Happy Wednesday everyone! I hope you all are having a great week so far. Things here are ticking along nicely. I’m a little behind the ball this week, still recovering from spring break and trying to get our spring cleaning finished up, but yesterday I took some time to play around on the computer working on a couple of requests from some of you. I couldn’t wait to share them all with you. 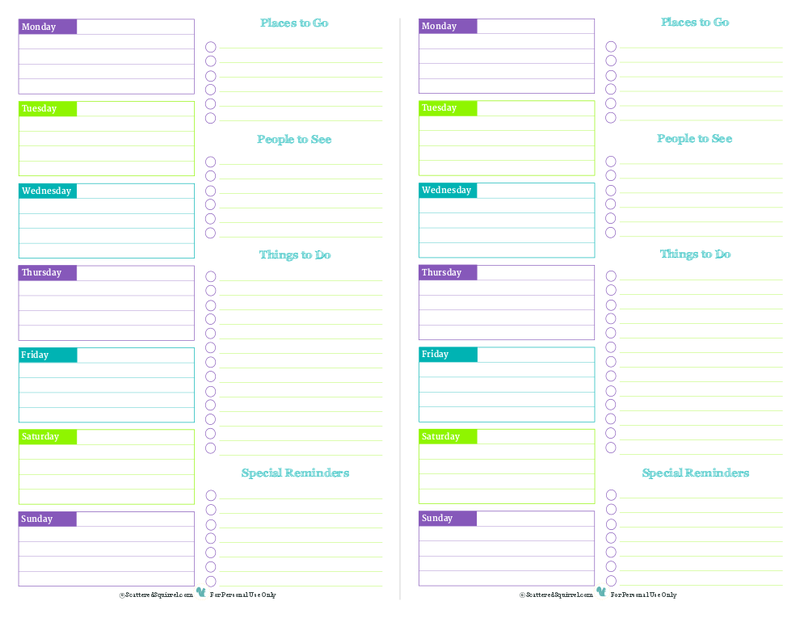 Half-size printables seem to be gaining in popularity lately. Maybe because they work so nicely in many different planners, or because they’re a little more portable, or maybe because people want to conserve paper. Whatever the reason, I’m always happy to make up a few more, and that’s where today’s post comes from. First up comes a request from one of the comments on last weeks 5 Random Things post, and it was to take the weekly planner page shared in that post and make it two to a page. I was worried it would be a little too squishy, but after getting it done up and printing out a test page, I was pretty happy with how it turned out. I kept the colors the same as the original, because I do still like those colors. 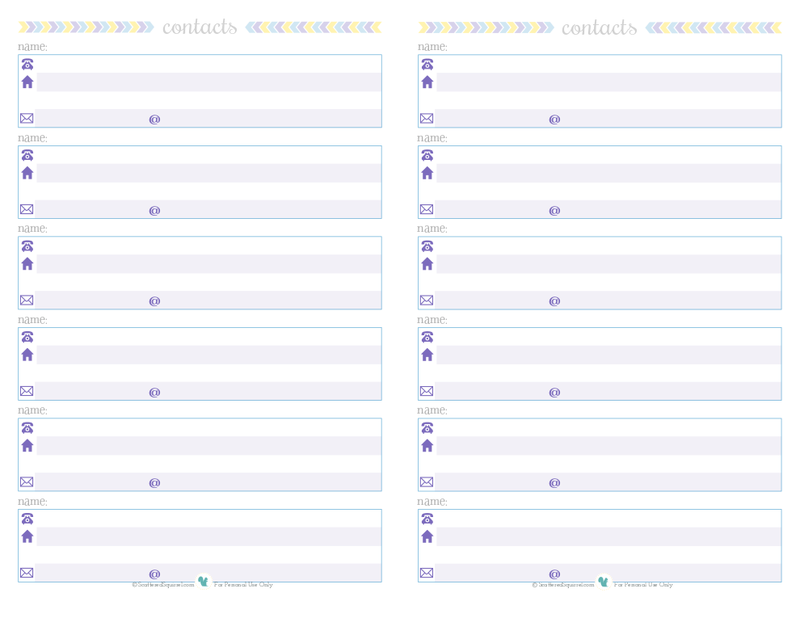 Next up is a request that came via email yesterday; a contact page for half-size planners. I tend to keep all my addresses and contacts in my phone, so this isn’t one I’ve thought of, other than when I did up the holiday planner back in 2012. It makes sense though to have a printed/handwritten copy somewhere for emergencies, or for those times when the phone is dead and you need a number or address, so I was really happy to get this request! I tried to keep this one simple and uncluttered, but still add a little fun to it. There is room for your contact’s name, number (or numbers there is room for two) home address and email. I wasn’t really sure if there was a need for any other info, so I opted to keep it basic. 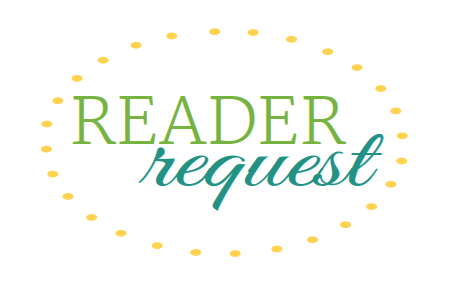 I love getting your requests and being able to provide you all with printables you like and use. It’s easy for me to make printables that work for me, and if they work for you too, that’s great. But being able to make printables that will work for you, and help you be more organized in your time or information, is real treat! Keep those requests coming. What do you think? Any suggestions? Requests?